“Opting Up” with Camp Ramah Intensives! In addition to all of our great regularly scheduled chuggim (elective activities) at camp such as sirot (boating), havalim (ropes/adventure course), drama, archery, silk painting, and many, many others, we believe it is important to offer our chanichim (campers) the opportunity to have an intensive experience in an area in which they are particularly skilled or passionate, or where they have a strong desire to learn more. Throughout the summer, chanichim can choose to “opt-up” in many areas of camp life. We offer an intensive week of specialty mini-camps called Kishroniyah during the second session for Tzad Bet; the opportunity to learn with Dr. Josh Kulp in our Bet Midrash program and an option to participate in an intensive Hebrew learning experience through our partnership with Ulpan Or. Over the last two years, we also have been offering a series of sports intensives that allow chanichim to select a chug led by an experienced, high-level coach from outside of camp that meets for two hours each day. To kick-off the summer of “opting-up” in sports, we hosted Coach Jacques from the Basketball Stars of New York — an organization that has been helping run advanced and intensive basketball programs here at Camp Ramah in New England for almost a decade. Campers who selected the Advanced Basketball chug worked on their fundamental skills, learned new and exciting drills, and, of course, played games. Coach Jacques, a full time physical education teacher and varsity basketball coach at a nearby boarding school, remarked that the Ramah campers were extremely hard-working and intense on the court, but also showed significant sportsmanship and camaraderie on the sidelines. There are two more chances to “opt-up” into high-level sports experiences later this summer: beginning in week 3, our sports staff will be joined by Coach Billy to teach Advanced Soccer — taught in the same structure as Advanced Basketball — with two hours every day. Then, in weeks 7 and 8, we are thrilled to welcome back Dana Levy to teach Advanced Softball. Dana, in addition to having been a star college softball player, is a Ramah alumna. 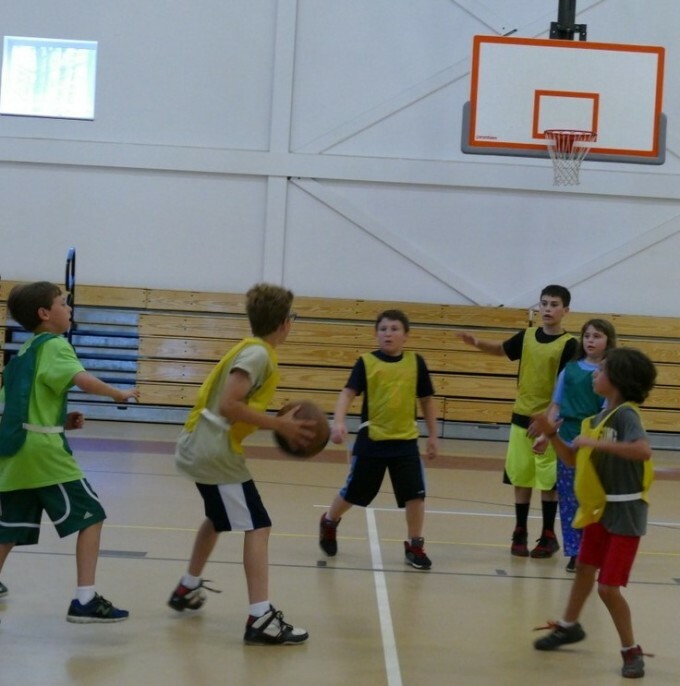 Many of our campers who play on JV or varsity sports during the year love that they can find the same athletic intensity at Ramah without having to spend a full week at a basketball or soccer camp. “Opting-up” lets campers get the full Ramah experience, without compromising on programmatic excellence. Kol HaKavod to those who just finished the Advanced Basketball program, and we’re looking forward to two great weeks of Advanced Soccer!